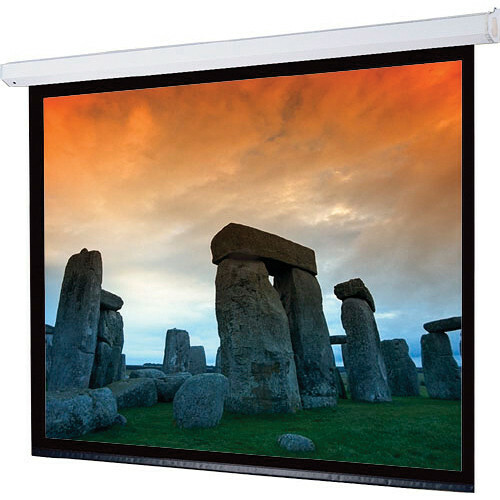 The 120V 116110QLP Targa 65 x 116" Motorized Screen with Low Voltage Controller, Plug & Play, and Quiet Motor from Draper supports both ceiling and wall mounting. It is suitable in a wide range of environments, including auditoriums, lecture halls, hospitals, hotels, churches, boardrooms, and conference rooms. The motor is mounted inside the roller, for a trim and balanced appearance. Its pentagonal steel case is scratch-resistant, featuring a white polyester finish with matching endcaps. Box Dimensions (LxWxH) 141.0 x 11.0 x 11.0"